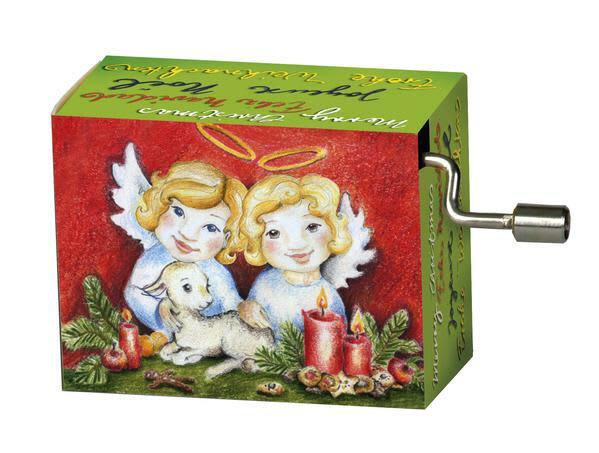 A music box for Christmas - We wish you a merry Christmas illustrated box, with a handle to turn. A very special present, Christmas in a box! Spotty Herberts in Bath, United Kingdom.